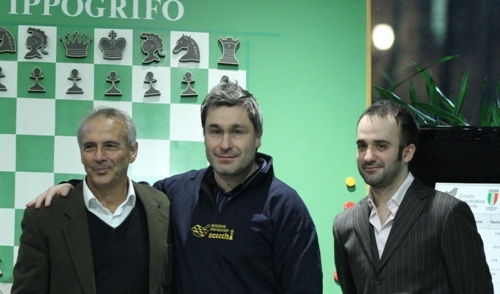 Vugar Gashimov and Francisco Vallejo Pons did not bother much in the last round of the 53rd Reggio Emilia tournament and signed quick draws to jointly cut the ribbon with 6 points each. 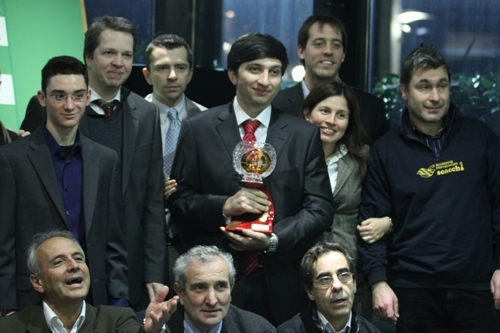 However, Gashimov was awarded the winner’s trophy thanks to the higher additional criteria. 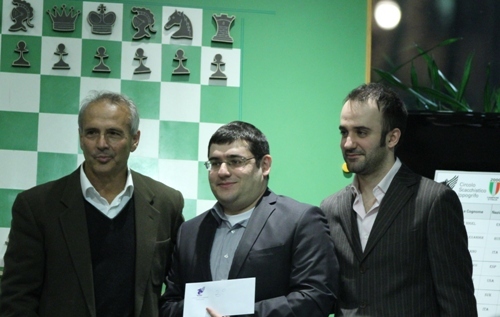 In the other games, Michele Godena held the Italian champion Fabiano Caruana to a draw, while David Navara gradually outplayed Nigel Short after emerging better out of the opening. Vassily Ivanchuk wisely exchanged pieces from the Nimzo-Indian opening to enter a better endgame in the match against Alexander Morozevich. 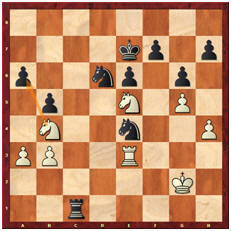 With white holding a Bishop and a distant passed pawn, black had slim chances to survive. Morozevich tested if his opponent knows how to checkmate with a Bishop and a Knight, but the Ukrainian’s technique was impeccable. 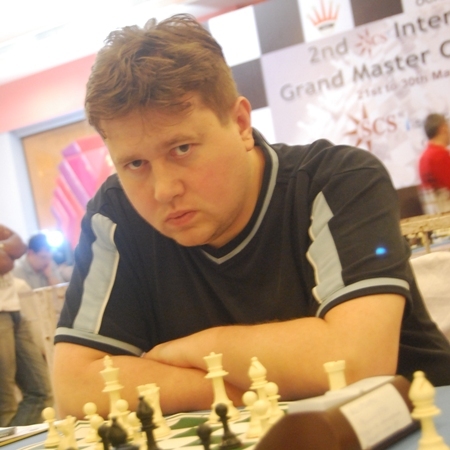 19-year-old Ukraine Grandmaster Martyn Kravtsiv moved into sole lead with 7.5 points, with an upset over leader Maxim Turov in the ninth round of the 2nd SCS International Grandmaster Chess Tournament at Hotel Swosti Premium, Bhubaneswar. 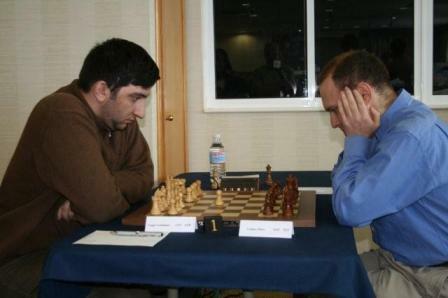 Turov, along with eight other GMs and Indian IM B Adhiban shares the second place with seven points each. 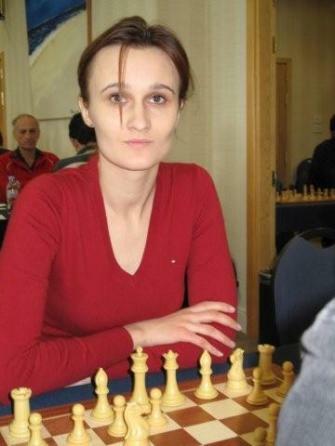 Five Norms – one GM Norm, one WGM Norm, three IM Norms – were made in an eventful day. Delhi school boy Vaibhav Suri stole the show as he shocked Bangladesh GM Enamul Hossain to secure his maiden GM norm. He also became an IM, getting his third and final norm in the process. Showing little nerves, Vaibhav converted a tiny advantage arising in the French game. 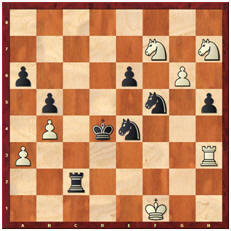 He later gained a pawn in the minor pieces ending to eventually sign an important victory. 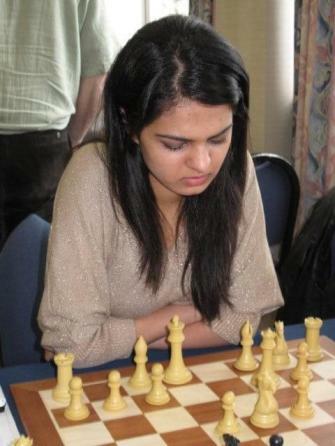 Local star Padmini Rout stunned Hungarian GM Zoltan Varga, making her third and final WGM Norm. Padmini becomes the second WGM of Orissa after Kiran Manisha Mohanty. 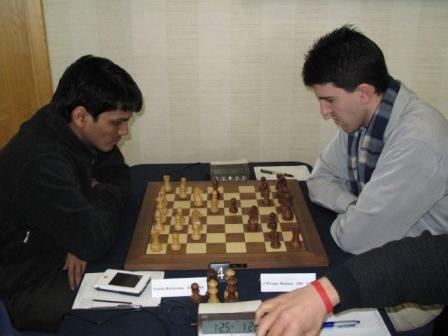 Andhra lad G V Sai Krishna upset Brazilian GM Alexandr Fier making his second successive IM Norm. Also making their IM Norms were Abu Sufian Shakil and Ticia Gara. 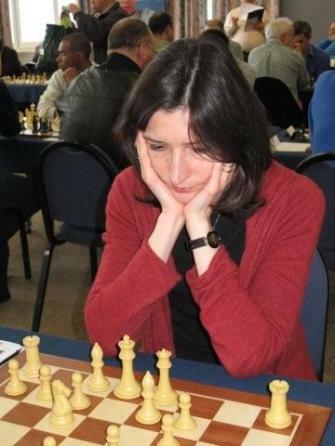 The 9th round of the European Individual Chess Championship brought lots of draws on the top boards, but not without fight. 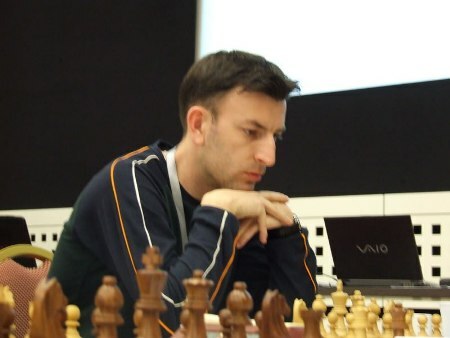 Actually, Ernesto Inarkiev sacrificed a piece against the co-leader Baadur Jobava, but was later forced to agree to a draw by moves repetition. The second table also featured a very interesting game, where Vladimir Malakhov and Dmitry Bocharov exchanged numerous tactical shots, producing a draw in the B vs N endgame. Report compiled by Sean Hewitt with games annotated by Sunil Weeramantry. No, this is not a reference to the UK weather causing havoc but the fact that with one round to go we have 5 players in the joint lead on 7/9 and amazingly we could have eight players tied for first place at the end of 10 rounds – if results go the right way (or wrong way, depending on your perspective!). However, there can be no joint winners in Gibraltar. In the event of a tie the players will indulge in a rapid play play off for the £15,000 first prize. However, the play off is limited to four players so, if there are more than 4 players tied for first only the four with the highest Tournament Performance Rating will play off. The possibility of a pile up was helped enormously by the joint leaders Vugar Gashimov and Vadim Milov drawing on board 1. Milov was sweating for a considerable period of time and must have been surprised and relieved when his opponent, in the following position played 40 Nd5 and offered a draw. Another player seizing his opportunity is Hikaru Nakamura (2699). After losing two of his first five games, Hikaru won three on the trot before being paired black against Poland’s Bartosz Socko (2631). Could he emulate last year’s feat of five consecutive wins before winning the tournament in a play off? Completing the quintet of players on 7/9 is Pentala Harikrishna, who beat Spain’s GM Lopez Martinez when the latter blundered horribly when slightly worse in a queen and rook ending. 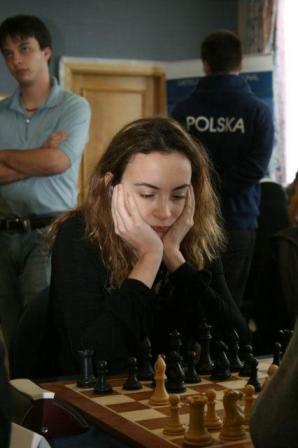 Five ladies are just ½ point behind Nana – Antoaneta Stefanova, Pia Cramling, Keti Arakhamia-Grant, Viktorija Cmilyte and Tania Sachdev. Should there be a tie for the best female player, the prize will go to the player with the best TPR. 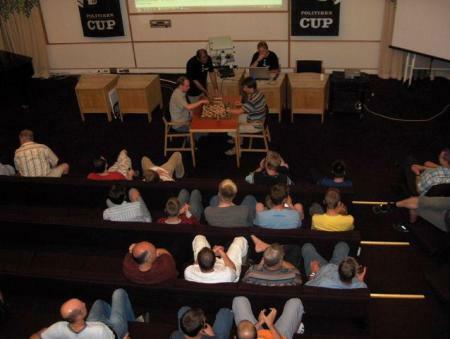 Two quick draws on the top boards of the 2008 Politiken Cup, but plenty of action in other games. GMs Roiz, Tiviakov, Socko, Kogan and IM Engqvist have scored important wins to advance further up on the crosstable. Roiz and Berg will be in position to decide the winner(s) in direct games against the leading Kuzubov and Savchenko. Djurre den Heeten fullfiled IM norm in spite of todays loss, while IM Oliver Kurmann drew against GM Konstantin Landa to earn himself a GM norm. 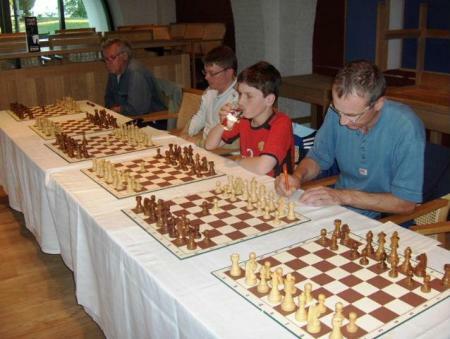 GM Lars Schandorff hosted a simul on the evening after the 8th round. 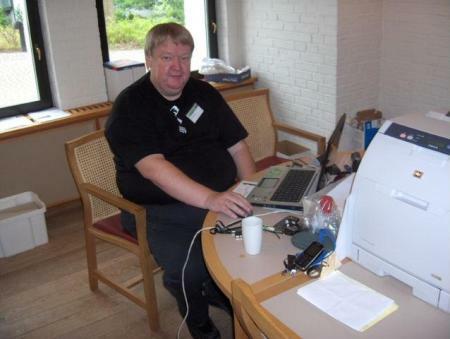 His score was 8 wins, 5 draws (Jathanvan Suntharalingam, Pål Molversen, Pål Andreas Hansen, Røgvi Eigilstoft Nielsen and Martin Haubro) and 3 losses (Jørgen Clausen, Tor Botheim and Erik Asmund). 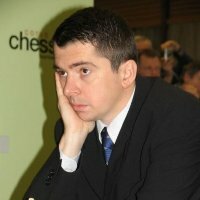 Sunday (13 CET): Live game commentary by GM Vladimir Dimitrov and live blog with the Chessdom team. See you there! Bu Xiangzhi is playing better and better as the tournament is nearing its end. Today he stood a bit worse against Veselin Topalov, but then started spilling excellent moves to confuse the opponent and finally force him to make a mistake in the time trouble. 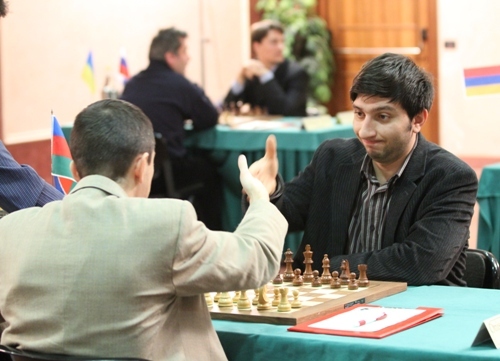 This loss leaves Topalov full point behind Vassily Ivanchuk as we head into the last round. 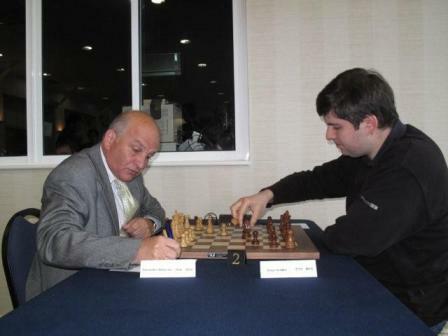 Still, Ivanchuk has an important test with black pieces tomorrow because Ivan Cheparinov is very aggressive player. 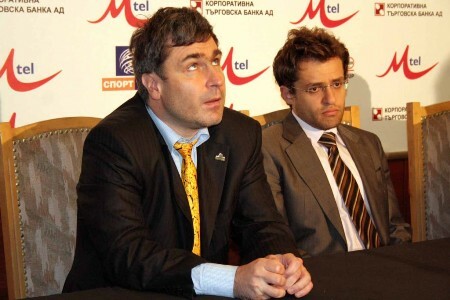 The games Teimour Radjabov – Ivan Cheparinov and Vassily Ivanchuk – Levon Aronian finished with moves repetition in equal positions. Perhaps they decided to save the energy for tomorrow’s important games. 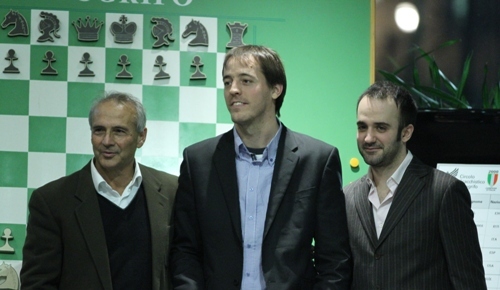 Cheparinov will try to avenge his loss in the first leg, while Bu and Aronian will fight to avoid the last place. 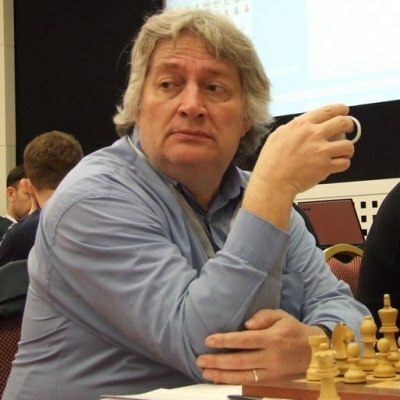 Gregory Kaidanov quickly drew his last round game to claim the first place at the 2008 Gausdal Classics’ GM-group A, full point ahead of 2nd Geetha Naraynan Gopal. Kjetil A Lie suffered third consecutive defeat after engaging in risky complications, thus dropping to the 7th place with 50 percent points. Vasilios Kotronias broke through after beating Bartlomiej Macieja with black pieces, while Øystein Hole improved the score with his first win in this event. IM Jon Ludvig Hammer tried to break Rune Djurhuus’ French defence, but experienced Grandmaster defended well and earned a draw by transposing to the rook endgame. This allowed Aloyzas Kveinys and Felix Levin to catch Hammer on the first place tie after winning their last round games. 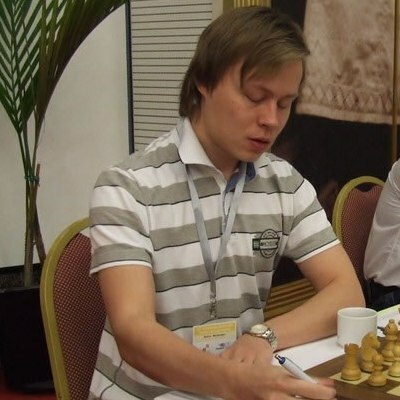 Lithuanian GM Kveinys was declared GM-group B winner on best additional criteria. Economist 1 and TPS Saransk have split the honors in the derby, but this only helped Ural to extend the leading margin to two points. Pavel Eljanov again was the only to score for Economist, this time against fellow Ukrainian Andrei Volokitin, but Evgeny Najer from the 6th board managed to even up the score. SHSM practically resigned the match against leading Ural by resting top two boards. Shirov and Dreev won with black pieces for comfortable 4-2. Tomsk 400 is clearly out of form, they lost another match and sunk down to 10th place. 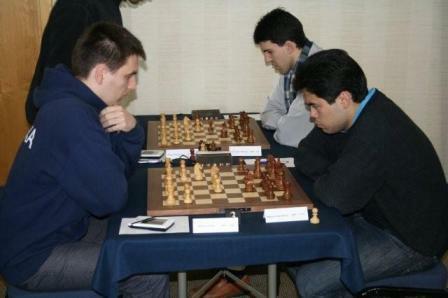 Ruslan Ponomariov beat Alexander Morozevich with black pieces, replay the game bellow. Karpov and his coach Riazantsev skipped this round, but even without top two boards South Ural was capable of upsetting favored Shatar Buryatia. 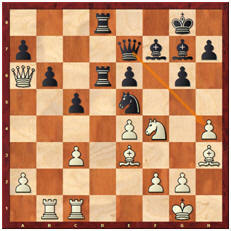 Viktor Korchnoi used French McCutcheon to beat Grand-Prix participant Vugar Gashimov, and another veteran, Evgeny Sveshnikov, famous of his variation in Sicilian defence and fight for games copyright, secured two points by scoring against Kamil Miton. 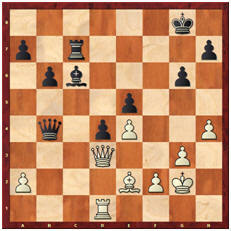 Fantastic twist in the last round of Biel super-tournament! 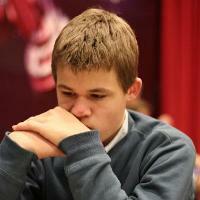 After two loses in a row, Magnus Carlsen resurrected to crash then-leading Teimour Radjabov in 28 moves only! Wild battle enraged all over the board and then Magnus lift his Rook to e3. 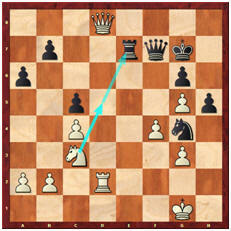 It never looked clumsy though, even if Radjabov opens central diagonals for his Bishops. After the first Black’s inaccuracy, 15…Qc7 and 16…Bd8, Carlsen took firm initiative and with couple of resolving moves, like 21. de5, 22.e6! and 23.e7!, blasted Black King away. 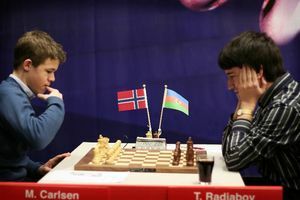 This win brought Carlsen to the first place tie, as Alexander Onischuk couldn’t achieve more than a draw with Marschall gambit against Motylev. Unusual choice of opening in situation when he had to play for win. van Wely and Grischuk won against Bu and Avrukh respectively, while Pelletier-Polgar was draw for the funny final points distribution. 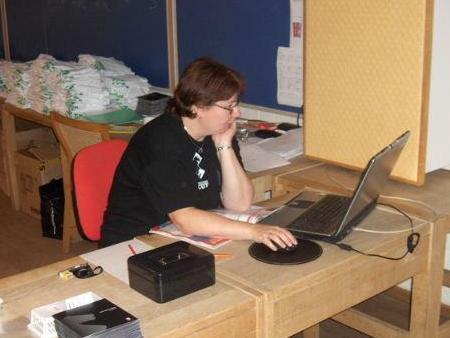 According to the tournament rules – “If two or more players tie the first place at the end, there will be a tie-break on the same day (with the two best players) to promote the official winner of the Tournament – two rapid games (15 minutes) and, if necessary, blitz”. 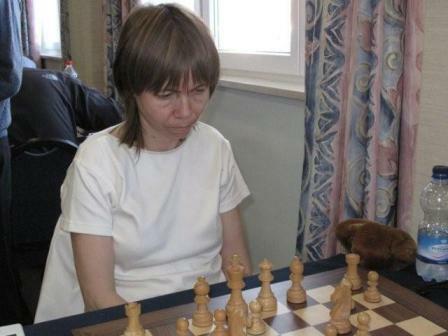 This meant Carlsen and Onischuk had to play additional games for the winner’s trophy. First two rapid games, full of excitement, were ended in draws. Next to follow were two blitz games, again to finish in draws, although it looked like Carlsen had winning Rook endgame in the 4th game. 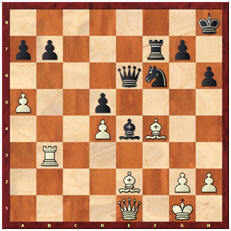 Decisive match was Armageddon, Onischuk had White and 5 minutes on clock, Carlsen had 4 minutes and draw odds. He never needed those, the cute combination, which he spotted in a sec, brought him the title of Biel 2007 champion.